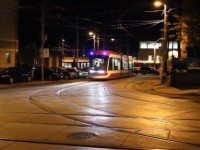 The TTC's new streetcars are still making test runs, and they're still really, really long. 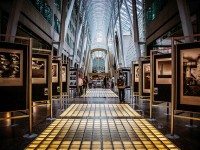 Student photography takes over one of Toronto's best-known public art venues. 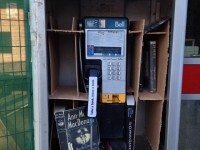 Here's one way of prolonging the lives of urban payphones. 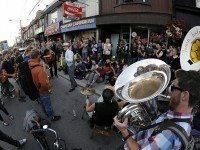 To mark the anniversary of the northeastern blackout, there was a street party on Queen Street West. 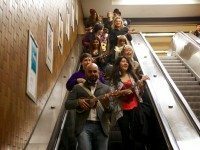 A ukulele-toting flash mob stormed the subway this morning. 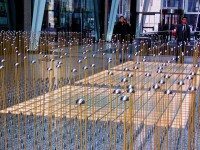 In a downtown office building, a weird harvest. 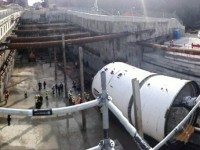 A glimpse at one of the giant machines that will dig the future beneath Eglinton Avenue. 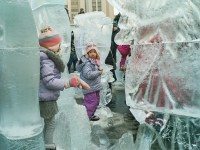 As part of Icefest, sculptors turned frozen blocks into artwork. 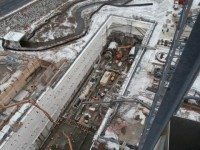 TTC construction, as seen from the top of a crane. 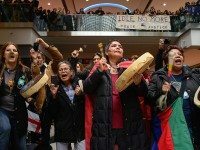 The Native protest movement goes to the mall. 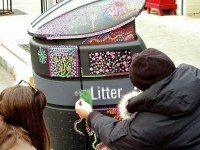 (G)litter bin for the holiday season. 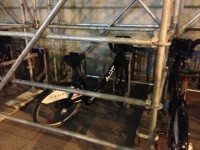 Construction hoarding takes a Bixi station captive. 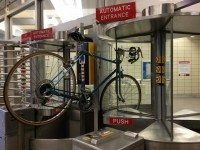 A cycling mishap at Spadina Station. 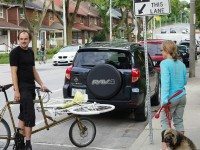 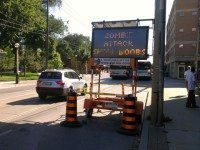 Toronto's naked cyclists ride again.